Last week I talked about being prepared for data disasters. Fate, it seems, is not without a twist of irony. Having returned from a short holiday, my camera's memory card was full of pictures and memories. They looked absolutely fine on the camera. Upon importing them into my computer, I was greeted by an error - "367 photos failed to import". Browsing the flash card directly showed a bunch of gibberish. Filenames were corrupted and directories were scrambled. Digital storage media, be it a hard disk or a pen drive or a flash card, may suffer corruption. This is different than a physical failure, where the device stops responding entirely. Fortunately, it is easier to recover from corruption on digital media than in politics. The first step would be to take your corrupted hard disk out of the computer and place it into an external USB casing, making it portable. Using a USB cable, connect your hard disk to a working computer. Do not attempt to read or write from the disk directly. The second step is to use file recovery software. There are many available in the market for a high price, but none can beat PhotoRec in terms of success rate and price. PhotoRec uses what are called "file carving techniques" - to extract data block by block directly from the disk's sectors and piece it together. It can therefore look into disks which cannot be read by the system. The name is slightly misleading. PhotoRec was originally written for extracting image files, but works as well most types of files - documents, ZIP files, mailbox files and many more. PhotoRec is available at http://www.cgsecurity.org/wiki/PhotoRec. The price for all these fantastic tools? Free! And yes, I was able to recover 366 out of 367 lost photographs, thanks to PhotoRec. Read the Cyberwatch blog for my photo recovery adventure and a quick tutorial on using PhotoRec. Not too long ago, I returned from a weekend trip with over 350 digital photos. I have no idea what went wrong, but after trying to import them, my photo application informed me that it failed to import 367 photos. Something went wrong with my card all of a sudden. Looking at the directory indicated that the file system (directory structure and file information) was mangled. The camera failed to read the card either. Now if your storage media, be it a hard disk or a flash card or a pen drive - anything that holds files, has not failed physically, you still have a chance of recovering your data. Physical failure would be when the media fails to be read or recognized entirely, sometimes accompanied by weird sounds in the case of hard disks. This wasn't the case for me. The problem was simply data corruption. Data corruption may be localized to a few regions of the disk. When it scrambles certain important areas like the directory structure, you media may be apparently rendered useless because the system cannot find the file names and contents properly. This doesn't mean that the files themselves have been wiped out. The data from the files is most likely sitting there. All we need is a program to pick out data block by block and piece it together. The best software I've seen for this job is PhotoRec from Christophe Grenier. PhotoRec works on all platforms - Windows, Linux, Mac OS X and a few more. PhotoRec isn't limited to recovering just photograps. It can recognize and recover dozens of different types of files, including ZIP archives, office documents and much more. 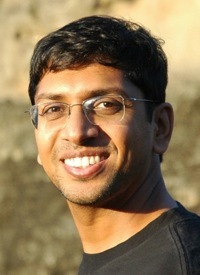 PhotoRec uses file carving techniques to reconstruct data by looking at blocks directly, bypassing the media's directory structure entirely. And PhotoRec has a very high rate of success! The only drawback of PhotoRec is that it is a text based program, without a fancy graphical user interface. However, the fact that PhotoRec is free more than makes up for this drawback. The following screenshots show you how I recovered 366 out of 367 photographs from my date with disaster. Click on each screenshot to get a detailed view. Step 2: Tell PhotoRec how the media was partitioned. In most cases, it will be either an Intel/PC partition, or None. Step 3: PhotoRec will now try and show you various volumes contained in the partition. I usually select the whole disk. You may get a few extra files left over from previous usage, but no harm in recovering them and deleting them later if not needed. Step 4: Tell PhotoRec how the media was formatted. Again, in most cases, it will be "Other", for FAT and NTFS file systems. Step 5: Select the directory you want for storing the recovered files. PhotoRec will create a "recup" folder within that directory for storing all the files it can recover. Now sit back and keep an eye on the number of files recovered! Hopefully you'll get all your data back. At the end of the process, here's how my recup folder looked like, with almost all my photos recovered. The one lost photo is a reminder of how I almost suffered a huge data disaster, but was luckily able to recover from it! Another tutorial on using PhotoRec is available here. If you have used a computer for more than 5 years, you would have surely encountered the dreaded "Hard Disk Failure". Years of data is suddenly rendered inaccessible. The hard disk has nothing but strange noises to offer you. That is when panic turns into despair. Unfortunately, most of users I know still sleep in a loaded cannon. The problem isn't laziness - it is the fact that backups are cumbersome. In 2005, I would agreed with you. One had to choose the data to be backed up, burn it meticulously on a set of CDs, label it and store it well. A 20GB backup would involve around 30 CDs. Restoration after a lost hard disk involved re-installing the operating system, applications, and finally copying the data from CDs one by one. This article is the result of my quest for a painless backup. The first thing to do is buy an external USB hard disk, with the same capacity as the one in your computer. A 160GB portable USB hard disk costs approximately Rs. 4000 and is worth the investment. Next, you need to figure out what to backup. Rather than worry about selecting what to backup, I prefer to backup my entire system at one go, on a daily basis. And I like to have it done automatically. All I have to do is leave the portable hard disk plugged in when I am at my desk. In the event of a disaster, I would lose not more than a day's worth of work. Most portable hard disks come with backup software, which I find cumbersome and ugly. My choice is a free and easy to use product called Macrium Reflect. 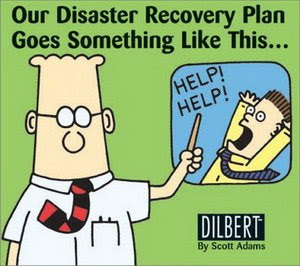 There are three reasons for this - (a) one shot backup of the entire system, (b) backups run in the background, governed by a schedule and (c) it creates a rescue CD to be used when disaster strikes. A detailed review and a tutorial can be found on http://blog.cyberwatch.in/. If you are a Macintosh user, there's nothing better than Mac OS X's built-in "Time Machine". So, if you haven't had a date with disaster yet, consider yourself lucky and take a backup at the first opportunity. And continue doing so regularly! The investment is worth the peace of mind when disaster strikes.